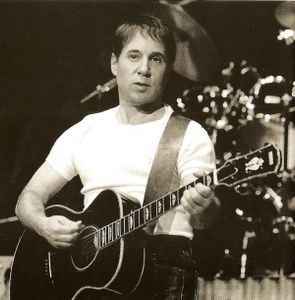 American singer-songwriter born October 13, 1941, Newark, New Jersey, USA, perhaps best known as one part of Simon & Garfunkel. After splitting up with Art Garfunkel he went on to have a successful solo career. Inducted into Rock And Roll Hall of Fame in 2001 (Performer). Simon has been married three times. His first marriage was to Peggy Harper with whom he had a son Harper Simon. He was then briefly married to Carrie Fisher from 1983 until their divorce in 1984. His third wife is folk singer Edie Brickell. Where is Live in New York City (2 CDs + DVD) 2012?